I feel like I used up a good amount of products of different varieties. I love using this as my last step in my makeup routine. It especially helps when I feel I may have been too heavy handed with powder products or something just looks drying on my face. I've already repurchased another. This is just a clear brow gel and I thought I would enjoy it but something about the formula makes it really thick, so once it dries it makes your brows look crunchy. You know the effect of if you have too much hair gel? That's pretty much what it does. And sometimes it dries down white if its on the edge of your brow. I ended up tossing this early because I really didn't like it. I really like this eyeliner, but it's hard to find in Canada. It's not as dark as the Kat Von D liner, but it does a good job. I haven't repurchased only because it's so difficult to find. This is probably my favourite eyeliner. It always goes on dark and dries down matte. I'm using a back up now, but I haven't repurchased yet. I want to try a few other brands before I purchase another. 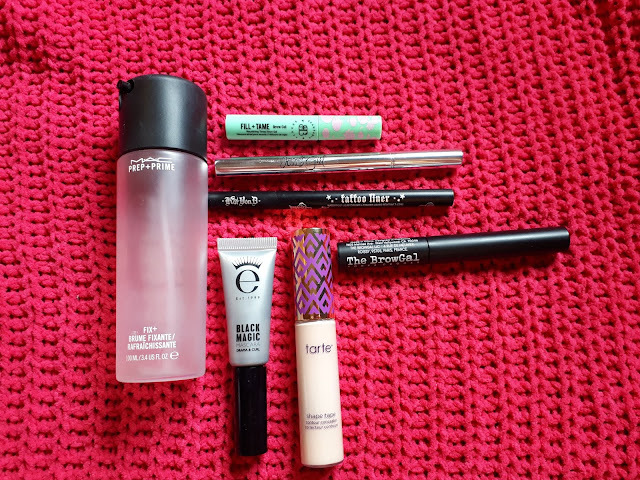 I really like this mascara and it's popped up in my empties a few times. It curls my lashes and holds all day, it darkens them and fans them out. It's just a nice mascara. It's a little difficult to remove but as long as you use a makeup remover first, before cleansing your skin, it will come off. I have a love hate relationship with this concealer. It covers circles well, but its just so drying on the skin. I purchased 2 of these when they first came out and I'm just finishing one now, which shows how long this tube lasts. There was a little left on the bottom but I found that it was even more drying then usual, so I will toss it for now. I've used this brand in the past and liked it... but I guess it dried out and the brush actually broke so I couldn't use it and had to toss it. I redeemed my boxycharm charms for this cleansing balm. It being Sunday Riley, I expected it to be decent. However, this is the worst cleansing balm I've every used. It's gritty with pieces of wax that don't seem to breakdown, and the balm itself just doesn't remove makeup well. I'm glad I didn't pay for this, I would never repurchase it. I actually enjoyed this sample of this moisturizer. It wasn't heavy enough on its own for myself, but I enjoyed layering it and it felt like it really helped hydrate my skin. This moisturizer smells amazing. It's not too thick or heavy which makes it nice for daytime use. I have a few other moisturizers to use up, but I would consider repurchasing. I'm not entirely sure what this does, but it feels amazing on my skin and adds an extra level of moisture which I feel I definitely need during the winter. This bottle was a PR sample, but I've already repurchased another. I liked this serum for my blemishes. I really feel it helped them disappear quicker. However this serum is old now and seems off, so I am tossing it. I would consider repurchasing it. This is a nice, simple, micellar water. I enjoyed it. 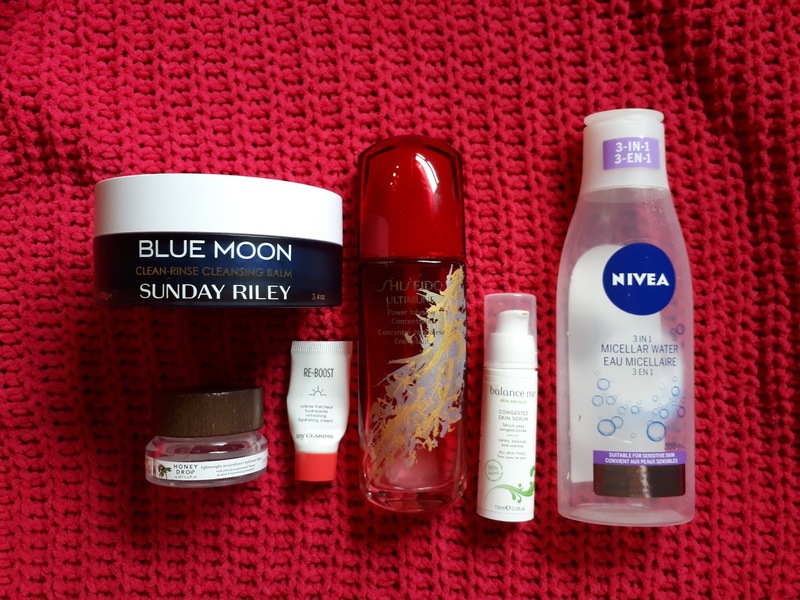 I have others to use up, but I would probably repurchase it. I love the scent of this dry shampoo, and it really works. 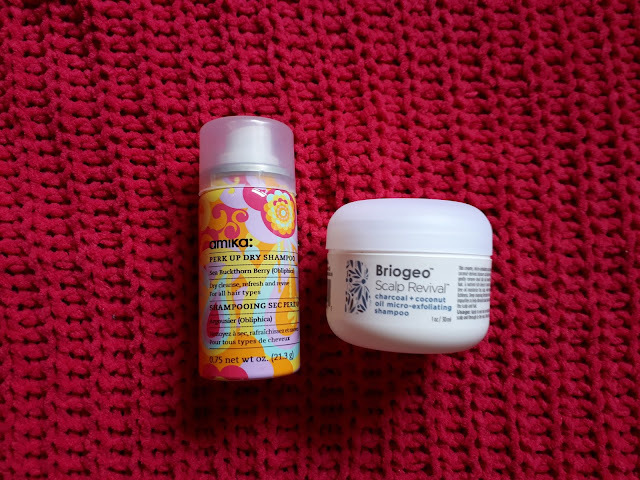 I actually purchased the Amika straightening brush and it came with a full size of this dry shampoo, so I guess I would repurchase! I really enjoy this scalp scrub. There must be mint in it, because you can really feel how soothing it is on the scalp. I felt like I used this sample up way too quickly though, so I'm unsure if I would repurchase it as a sample size, or full size. I love bath and body works candles, and they last a long time. This was a nice fruity scent and I would repurchase it again. The pineapple was stronger in the scent throw, then the mango. Your typical tropical body wash. I love these types of scents so I will continue to repurchase them. 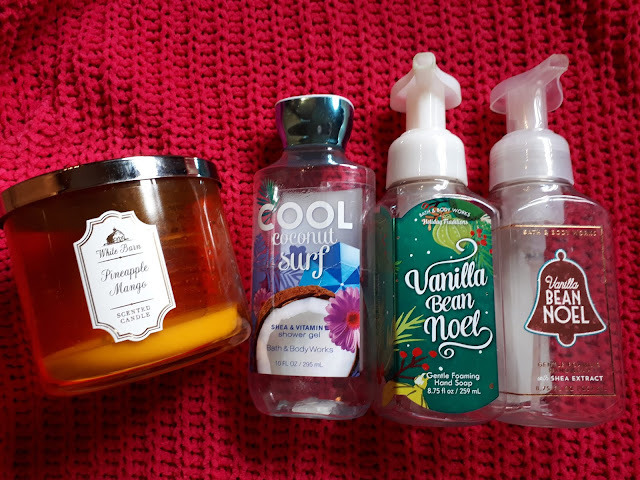 Plus bath and body works shower gels lather so well, and I really enjoy them. I have others to use up. I must really enjoy this scent since I used two up between February and March. This is a light scent that isn't too overpowering, and I feel vanilla is something everyone enjoys. I'm not sure if I have more of this one in my stash, but I have plenty of other scents. I love these soaps! 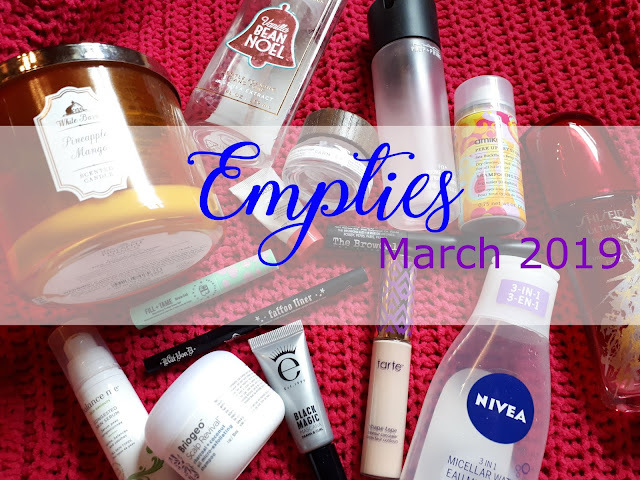 So for the month of March, I ended up using 19 products. Not as much as I would have liked, but its a good amount!